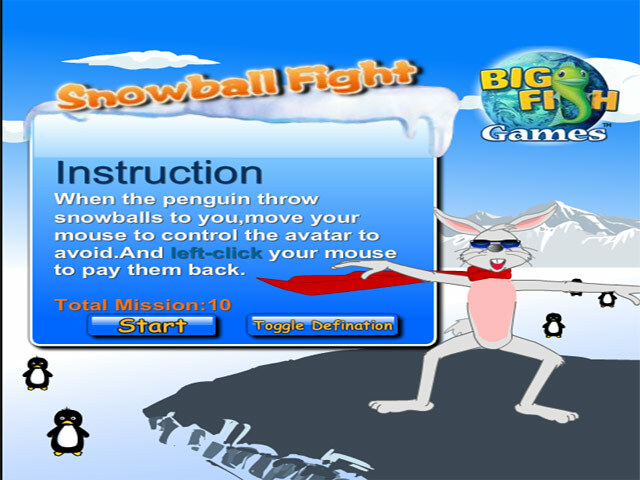 Join a Snowball Fight against penguins! 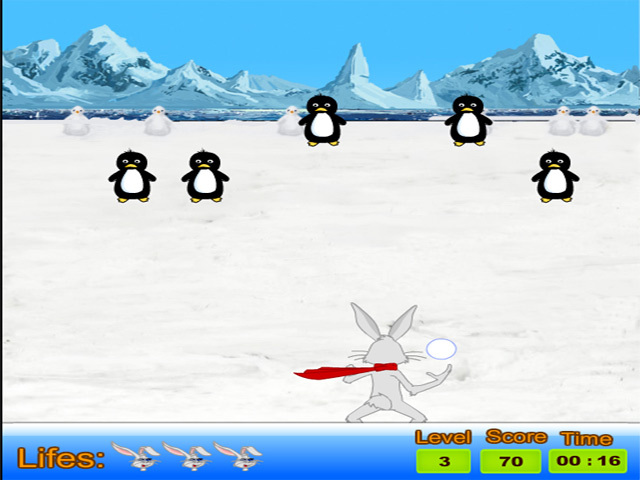 Dodge snowballs and hurl your own at these pesky critters to pass each level.Join a Snowball Fight against penguins!Join a Snowball Fight against penguins! 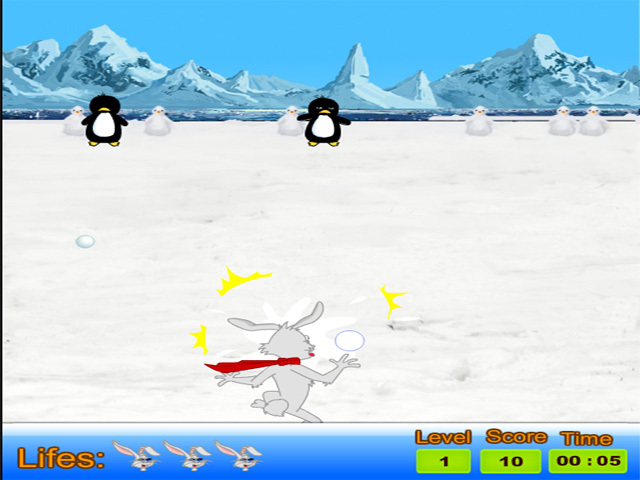 Dodge snowballs and hurl your own at these pesky critters to pass each level. Each new stage brings more enemies and faster snowballs to avoid. 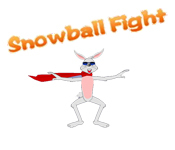 Can you win this intense Snowball Fight?